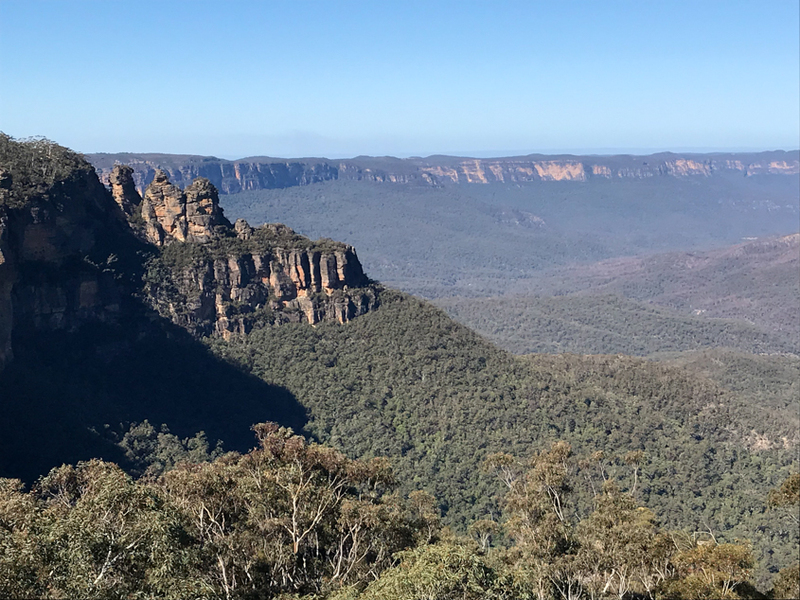 For the last day of my 15 day trip to Sydney, Australia in May 2018, I spent a full day’s journey to the Blue Mountains in New South Wales (NSW). 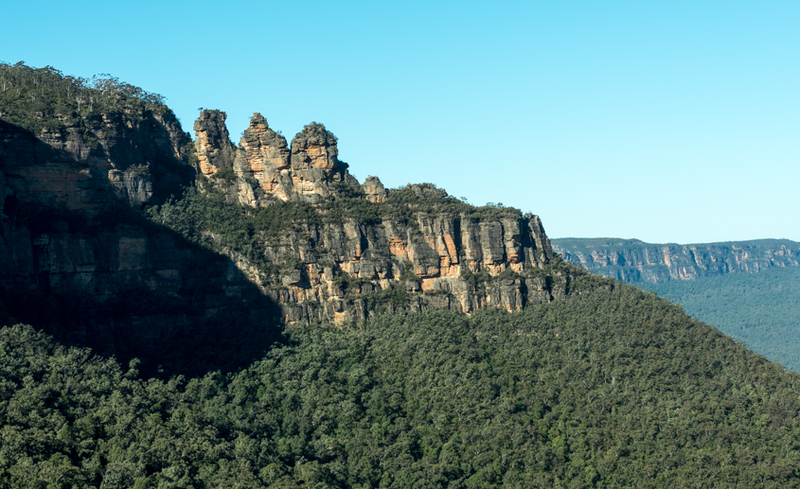 The Blue Mountains are a mountainous region and a mountain range located in New South Wales, Australia. The region borders on Sydney‘s metropolitan area, its foothills starting about 50 kilometres (31 mi) west of the state capital. 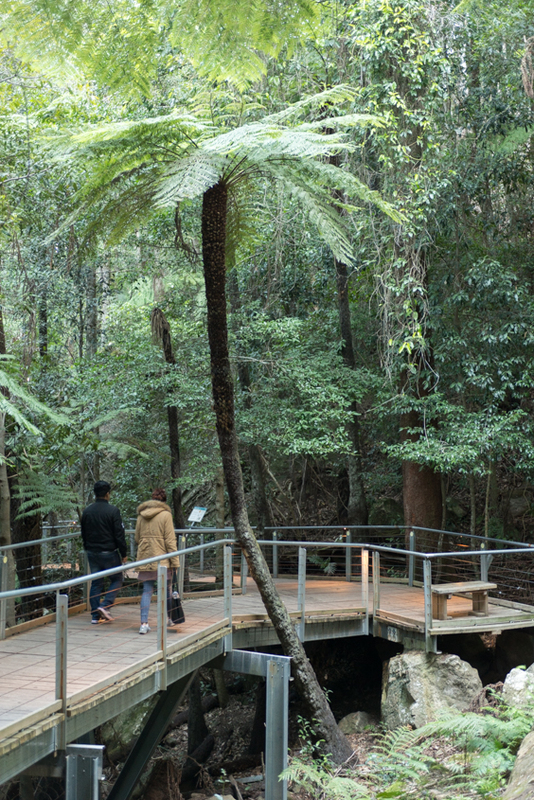 The public’s understanding of the extent of the Blue Mountains is varied, as it forms only part of an extensive mountainous area associated with the Great Dividing Range. 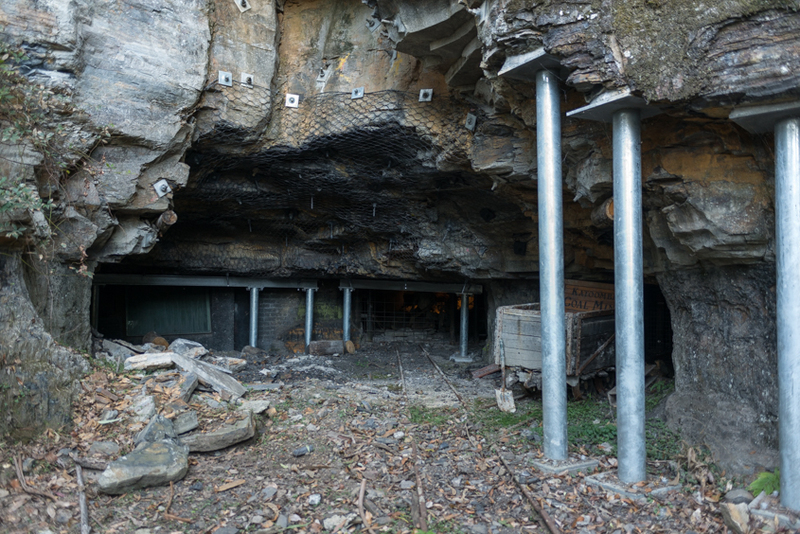 The Blue Mountains Range comprises a range of mountains, plateau escarpments extending off the Great Dividing Range about 4.8 kilometres (3.0 mi) northwest of Wolgan Gap in a generally southeasterly direction for about 96 kilometres (60 mi), terminating at Emu Plains. For about two-thirds of its length it is traversed by the Great Western Highway and the Main Western railway line. 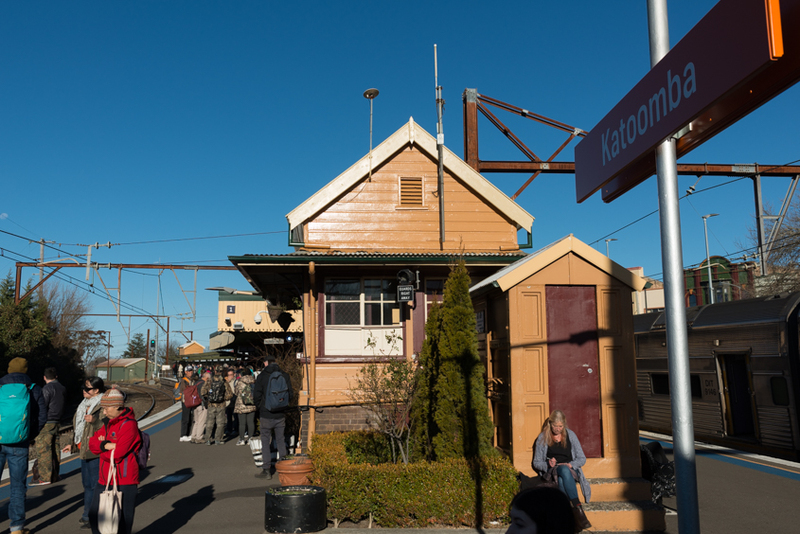 Several established towns are situated on its heights, including Katoomba, Blackheath, Mount Victoria, and Springwood. The climate varies with elevation. 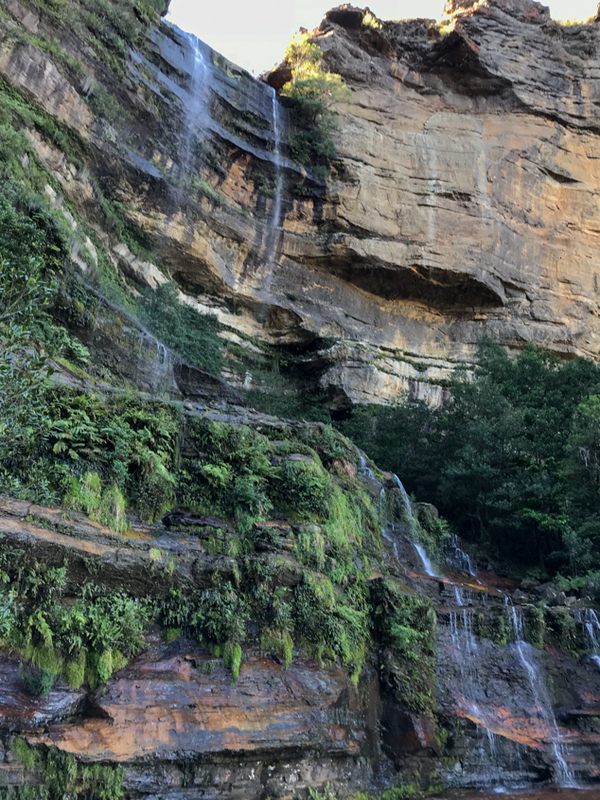 At Katoomba, (1,010 m or 3,314 ft) the summer average maximum temperature is around 22 °C with a few days extending into the 30s (80s–90s °F) although it is quite common to see maximum temperatures stay in the teens when east coast troughs persist. Night-time temperatures are usually in the teens but can drop to single figures at times. During winter, the temperature is typically around 10 to 11 °C in the daytime with −1 °C or so on clear nights and 3 to 4 °C on cloudy nights. 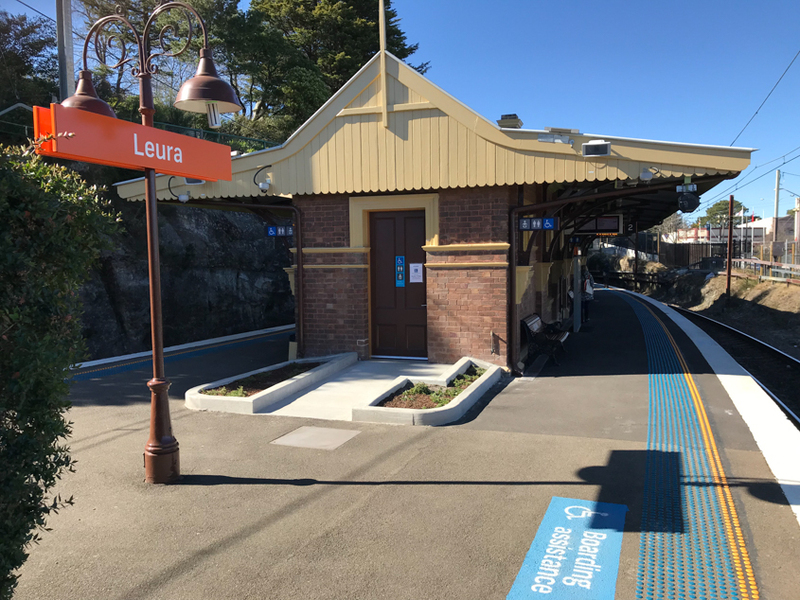 It was a pleasant trip, was easily accessible by way of a 2 1/2 hour train ride to Katoomba, but I made a stop first at the quaint village of Leura for breakfast (the train station before Katoomba). I had a hearty breakfast and read up on the local tourist guide books, of which one recommended the Leura Garage Cafe & Restaurant that I later dropped by for a visit on my way to my final train stop, Katoomba. 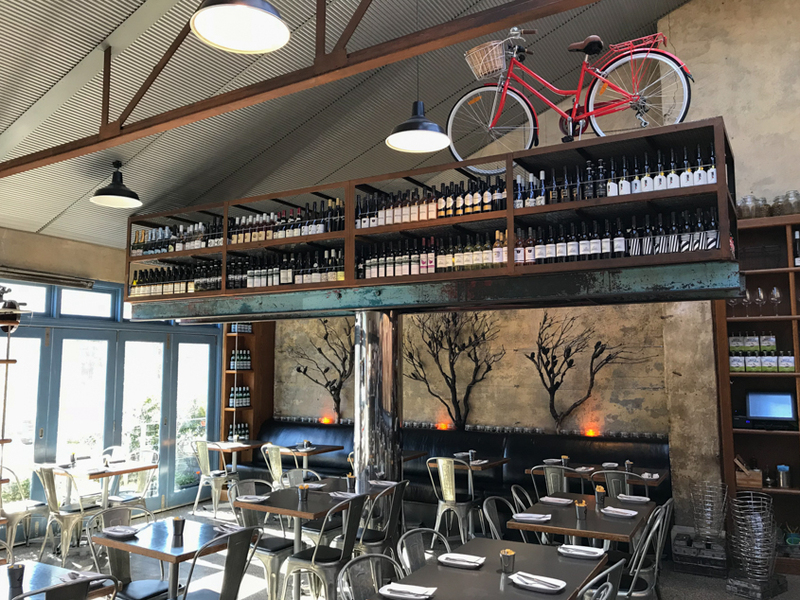 In this photo you can see the car lift that remains as a cool restaurant fixture. 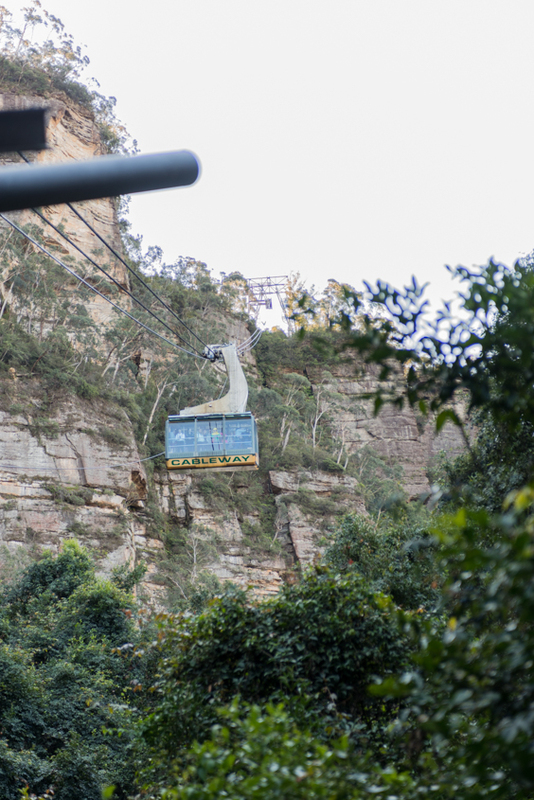 Once the train arrived in Katoomba, I caught a local bus to Scenic World, providing me a good sampling of the Blue Mountains. 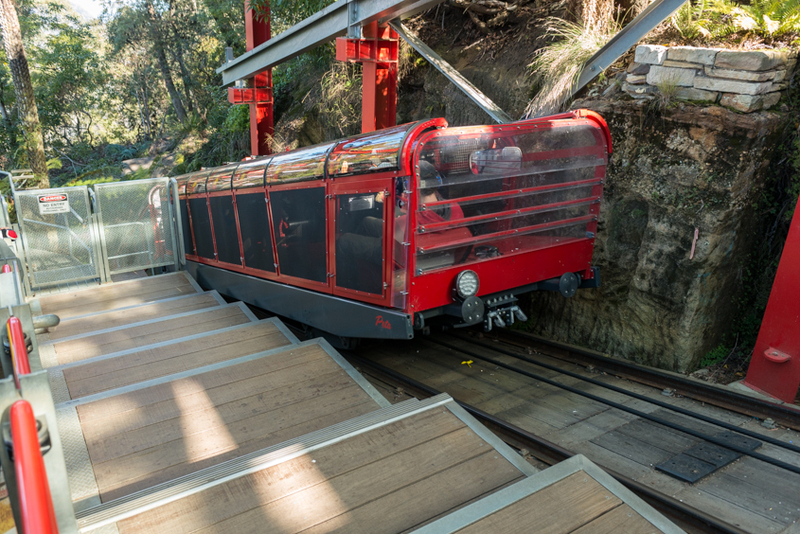 Several options were available to get around Scenic World park; scenic railway, scenic skyway, scenic cableway, and scenic walkways. 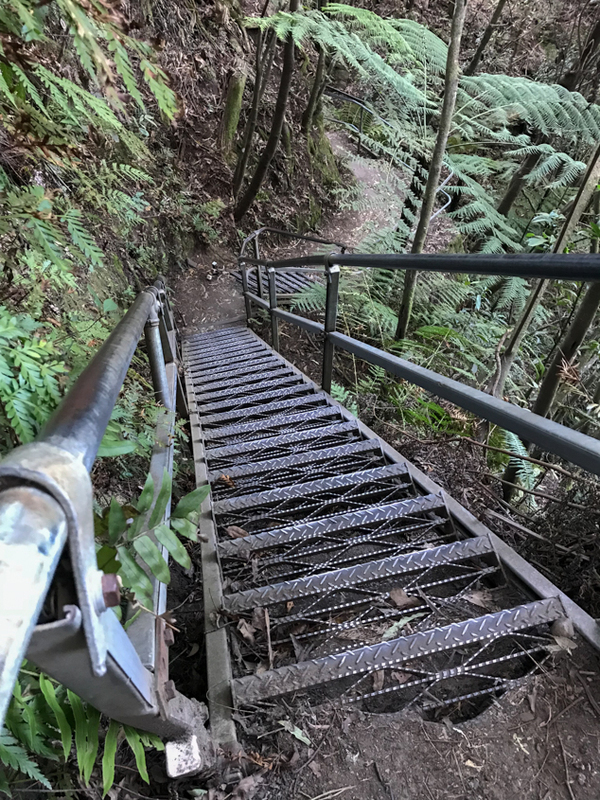 I first took a dirt path a ways down the escarpment to view Katoomba Falls. The brothers were warriors and decided to take the maidens by force. Tribal war forced the Kuradjuri (clever man) of the Gundungurra people to turn the sisters into stone. He intended to restore them after the danger had passed and the war had ended. Unfortunately, the Kuradjuri (clever man) was killed in the battle and to this day nobody has been able to break the spell and turn the Three Sisters back to their natural form. 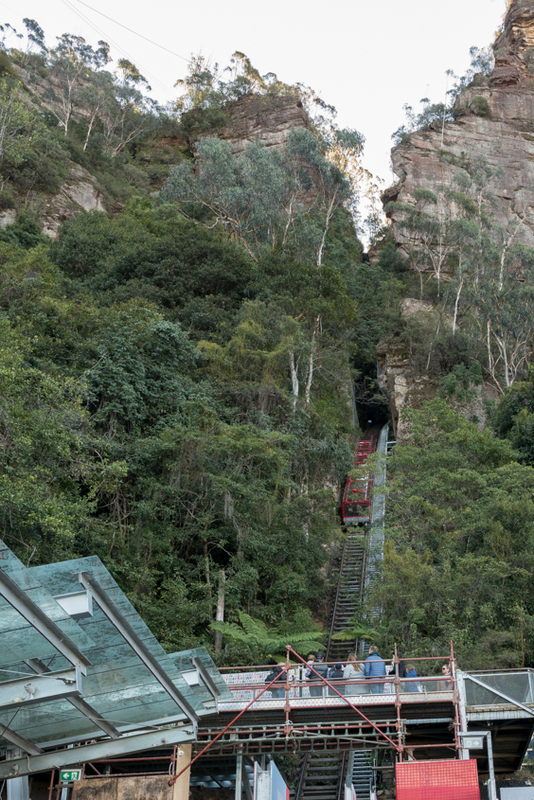 The railway is the world’s steepest passenger railway in the world. 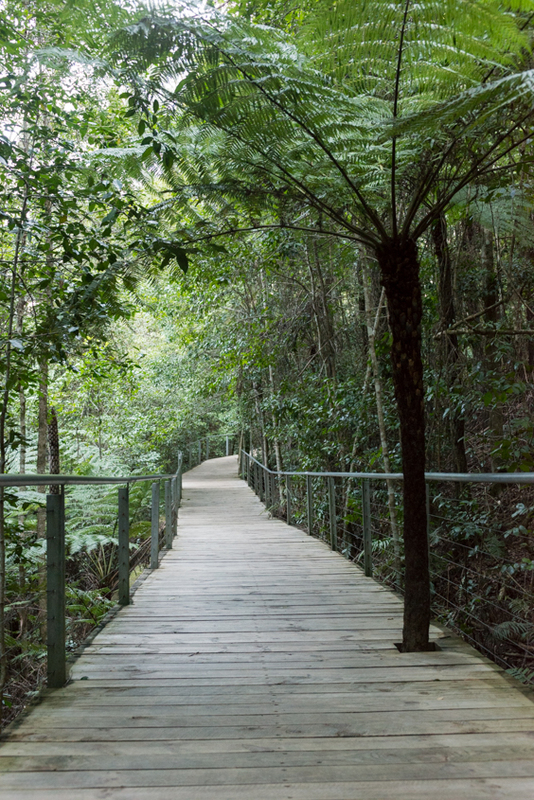 Once below the escarpment one can enjoy the peaceful Jurassic rainforest on the Jamison Valley floor with minimal impact on the environment by way of the 2.4 km scenic walkway. 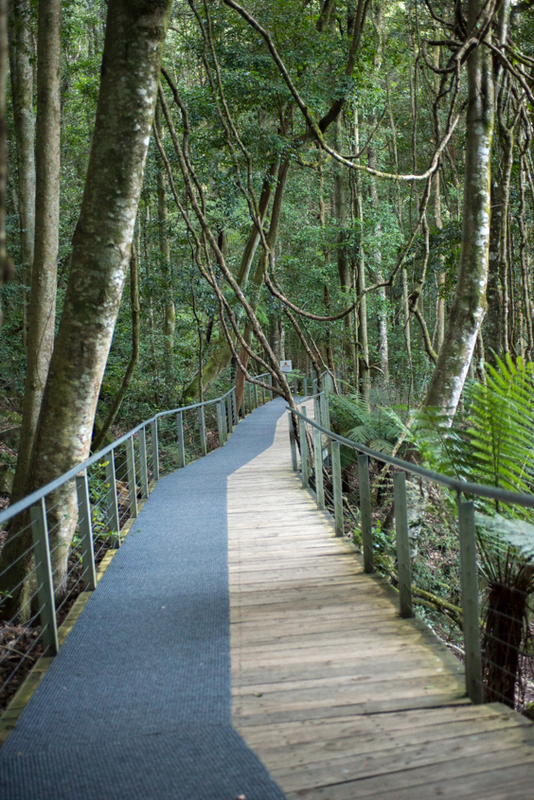 Signs were warning people not to wander off the walkways at risk of the poisonous leaches. 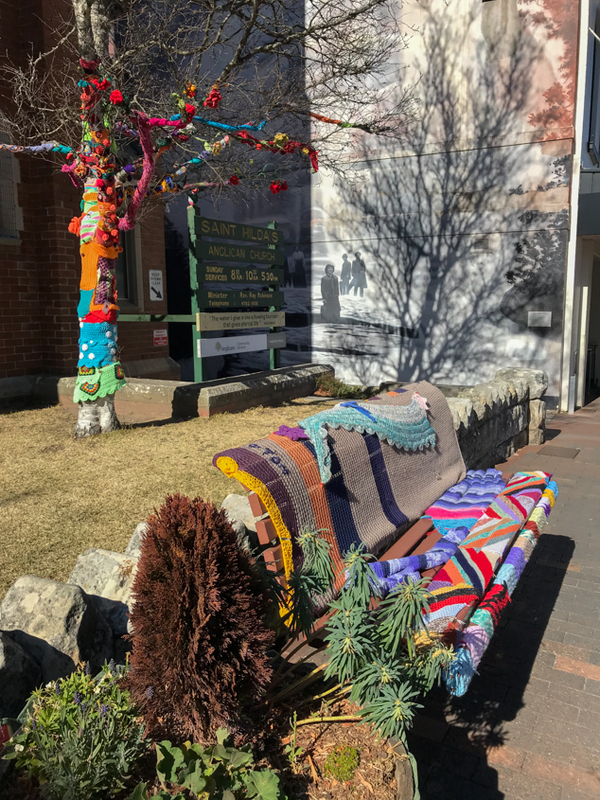 I caught the next bus back to Katoomba, passed by the colourful macramed trees and rest bench, then hopped on the train for Sydney to finish up my long day.